As part of IGT’s web services team, I support all aspects of IGT.com including user interface design, user experience, front-end development, digital strategy, and much more. 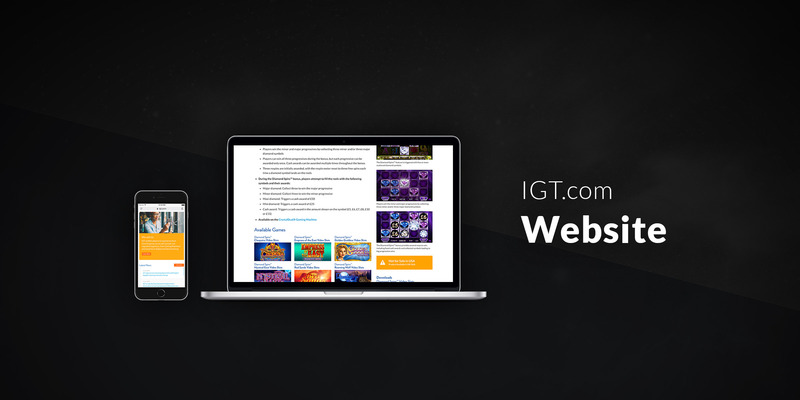 I lead the digital design for IGT’s web properties and have designed several aspects IGT.com web properties and built a majority of its infrastructure along with other teammates. I’ve written functional guidelines for other regional based designers to build their own hero banners and other graphics to support their marketing initiatives. IGT maintains copyright over any IGT related examples used within my portfolio.